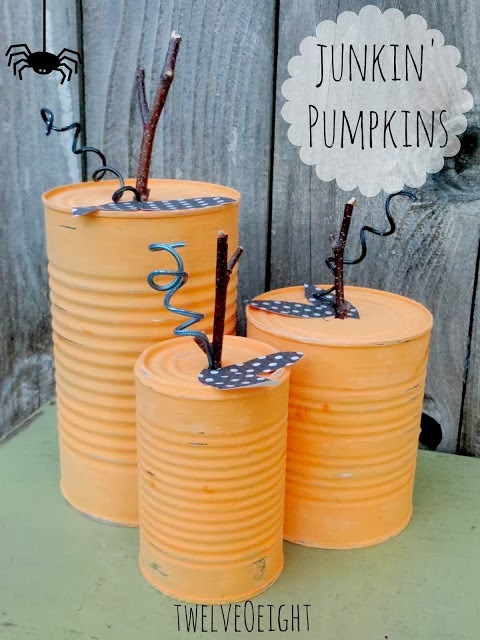 I love this idea of repurposing old tin cans into fun tin pumpkins. You could even make some homemade chalkboard paint in a fun orange color and the kids could use black chalk to create jack-o-lantern faces. They would make a great centerpiece for the kids table, as long as you opened the cans with a smooth edge can opener. You can check out how to make these painted tin can pumpkins over at Twelve O Eight.